All participants in the ACES Family Academies program will experience college life by staying on campus in the recently built and air-conditioned Bousfield Hall on the corner of Peabody and First Street. Registration includes two nights of lodging in the residence hall. Bousfield Hall is designed with greater privacy to guests and have semi-private bathrooms. The facility is air-conditioned. It is best for a family of four to stay in a suite together (ie. 2 adults and 2 youth or 1 adult and 3 youth) so you can stay as a group together. A suite of four single rooms with a living room and a semi-private bathroom. Sheets, pillows and a blanket will be provided. However if you have a favorite pillow or blanket, you are welcome to bring with you. The adult and child participants from each family will be in one residence hall room. If there are 2 people to a family, you will be assigned one room and will share a bathroom with another family. If you have 3-4 people in your family, you will be assigned an adjoining room and share one bathroom with your family group. 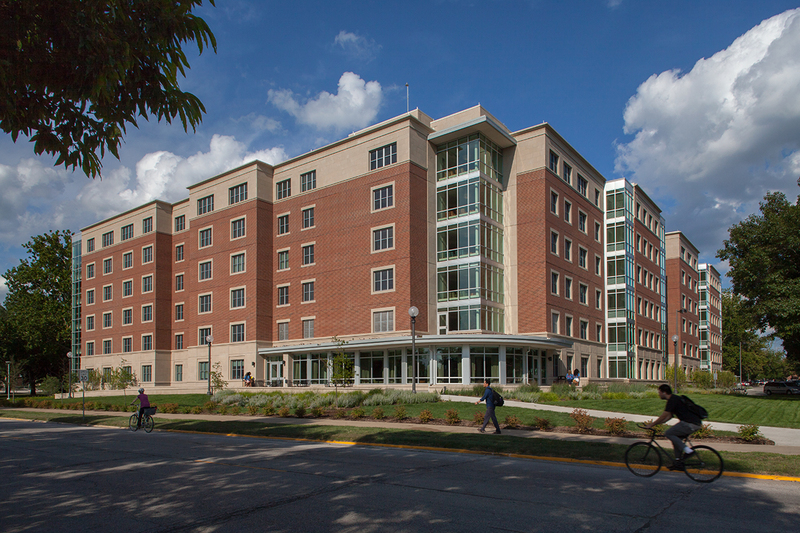 Residence Hall rooms are barrier free and have a limited number of rooms for guests with accessibility needs. If you have special needs, please let us know on your registration form. Room keys will be given at check in for each adult in the group. Meals are included with your registration. All meals will be served in Ikenberry Commons, just outside of the Bousfield Hall area. Cafeteria hours are set for the summer to accompany the numerous groups on campus. Vending machines are available in the area and you may bring snacks with you for your room. Breakfast and Lunches will be served in the dining hall. However on Thursday evening, we will host an ACES Tailgate that will be catered and will be held on the ACES Quad prior to evening programs. We encourage all participants to check-in on Wednesday evening. This will allow participants to be checked in for a morning start. if you are not able to check in Wednesday evening, an early morning option is available on Thursday. Please register for Wednesday check in if you plan to do so in advance, this will allow us to prepare rooms properly. Due to other camps, we cannot accommodate late departures. All participants will have to check out on Friday afternoon. View Photos of Bousfield Hall online or watch a video tour. You will soon see these are NOT the dorms we stayed in as students at the University of Illinois, they are wonderful facilities that will feel like home. All guests must return to the dorm by 10:00 p.m. and in their rooms by 11:00 p.m. Quiet Hours begin at 11:00 p.m. and end at 7:00 a.m.